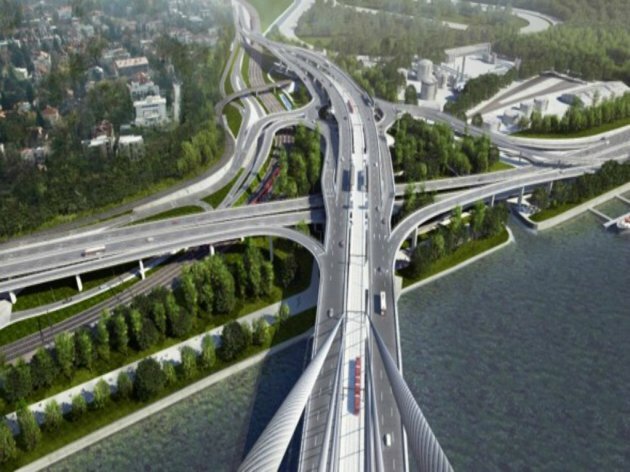 The tram tracks on the Ada Bridge will be laid down by a French company with the help of Serbian colleagues. The Belgrade Land Development Public Agency reached the decision to award the contract worth RSD 1.97 billion (around EUR 16.4 million) to the group of bidders consisting of Energoprojekt Niskogradnja and France’s Colas Rail. As the document states, the completion deadline period is 420 days from the possession of the site. Ideally, then, tram traffic on the Ada Bridge will open in July 2019 if there are no complaints by any of the parties that have not been awarded the contract. If there are, however, it could postpone the construction and maybe even invalidate the tender. The other two offers were sent by Austria’s Strabag and the group of bidders headed by the Spanish company Copisa. Let us remind that the previous tender fell through in 2017, as the Belgrade Land Development Public Agency had deemed neither of the three bids to be acceptable.